Sitting atop the Pinckney Division standings all season long, the Scrappers have had some prospects emerge as serious contenders with Big League aspirations. 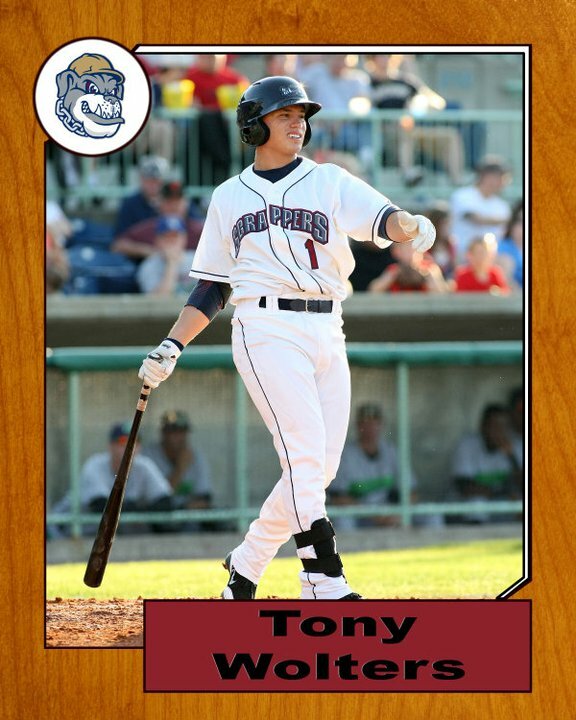 Shortstop Tony Wolters, third baseman Jordan Smith, outfielder Bryson Myles and pitcher Danny Jimenez were selected to the 2011 New York-Penn League All Star Game. All four players are receiving their first taste of Class A ball, this season, and have proven that their early professional careers are just a hint of what is to come down the road. Wolters, an Indians 3rd round draft pick in 2010, has drawn comparisons to Red Sox infielder, Dustin Pedroia. He stands at just 5’10,” but proves that you don’t have to be a big guy to make a big impact. Wolters swings a good bat and gets on base. He has good speed knocking three triples this year and is second on the team with a .307 batting average. Even before he was a pro, Wolters has experience playing with the best of the best when he was a part of the 2009 U-18 USA baseball team. Baseball prodigy, Bryce Harper in the Nationals system was on that team and the two remain close friends to this day. 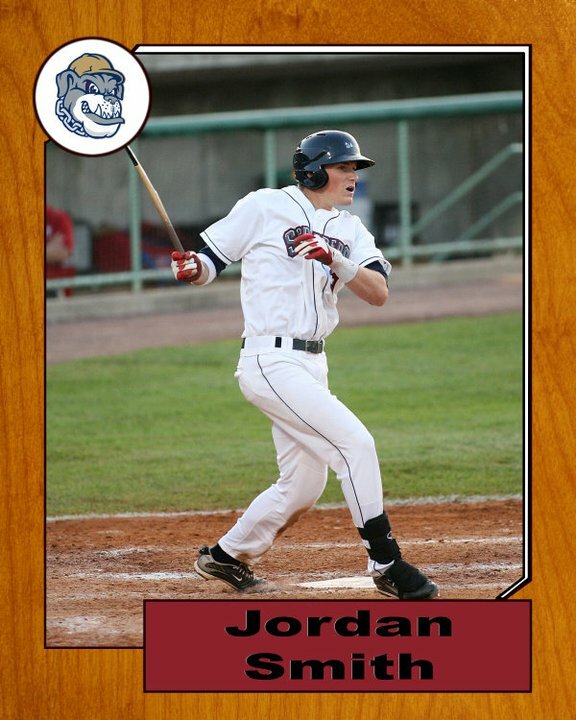 Mahoning Valley’s best overall hitter, thus far, is Jordan Smith. The St. Cloud State product was a legend at the Division 2 school earning All-American honors. 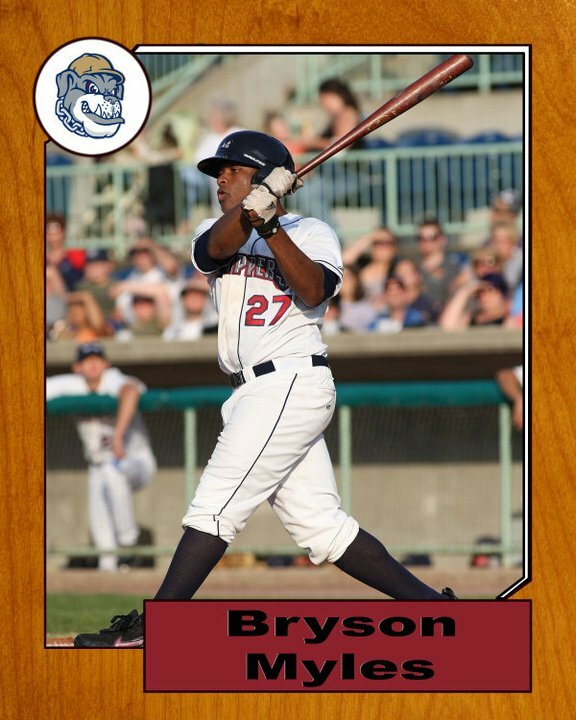 He was originally tabbed as an outfielder, but has seen considerable time at third base for the Scrappers. Smith is batting a blistering .327 with 72 total bases and 34 RBI. On August 6th, he was named the Wing Warehouse Player of the game in a 5-3 win over Auburn. He collected a pair of key RBI, while going 2-for-3 in the game. The speediest player of the team, Myles has swiped 11 stolen bases on the year. One look at him, though, and you would think he could be a football linebacker. His build of 5’11,” 235 pounds is beastly. He has been tremendous at the plate batting .294 in just 27 games, having missed some time due to injury. A 6th round pick in 2011, the Texas native set the hits record at Stephen F. Austin University. Throughout his collegiate career, Myles was always noted as one of the top outfielders in the country. The Indians are seeing why as he could be on the fast track to a promotion. He is a trusted lead-off hitter who sees the ball well. Jimenez has struck out 33 batters in 2011 while averaging over six Ks per nine innings. He is a flame-throwing lefty who has been consistently clocked in the low 90s. His control is solid and he is most of all, consistent. Manager Dave Wallace has been able to have confidence that Jimenez can go deep into games and still have gas in the tank to get guys out. He is no stranger to the spotlight, as he was rated as the No. 1 Junior College prospect in the state of Illinois coming out of John A. Logan College. Jimenez has had time to develop himself as a quality pitcher with two years in the Arizona Rookie League before earning a spot on the Scrappers roster. Fans, be sure to pay attention to the All-Star festivities which are taking place in Lowell, Mass on August 15 and 16. Support your Scrappers who look to represent the Mahoning Valley, and their first place team, well. 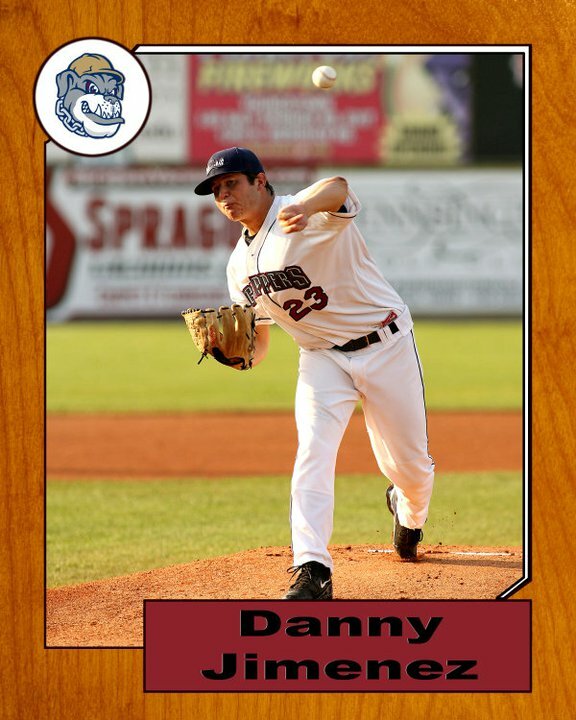 Photos are credited to Jesse Piecuch and his Scrappers baseball card project. More samples of Jesse’s work can be found on his facebook page and sportsshooters.com. 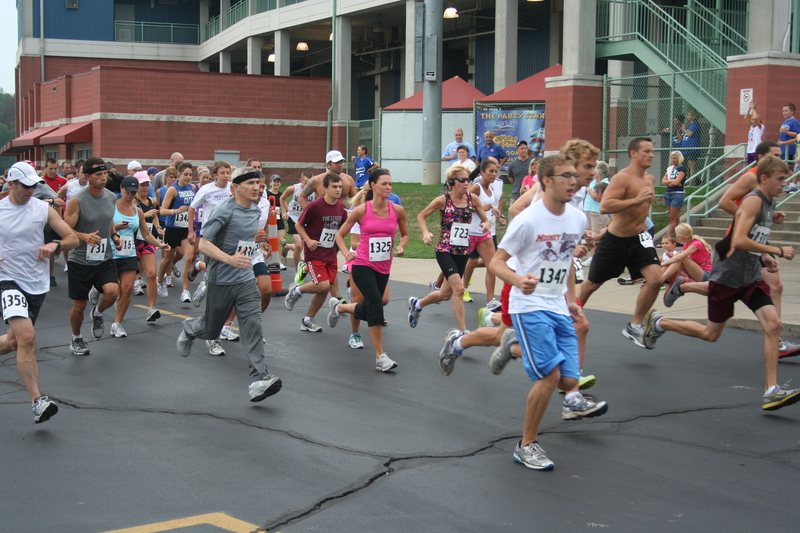 On your mark, get set, it’s a 5K at Eastwood Field! 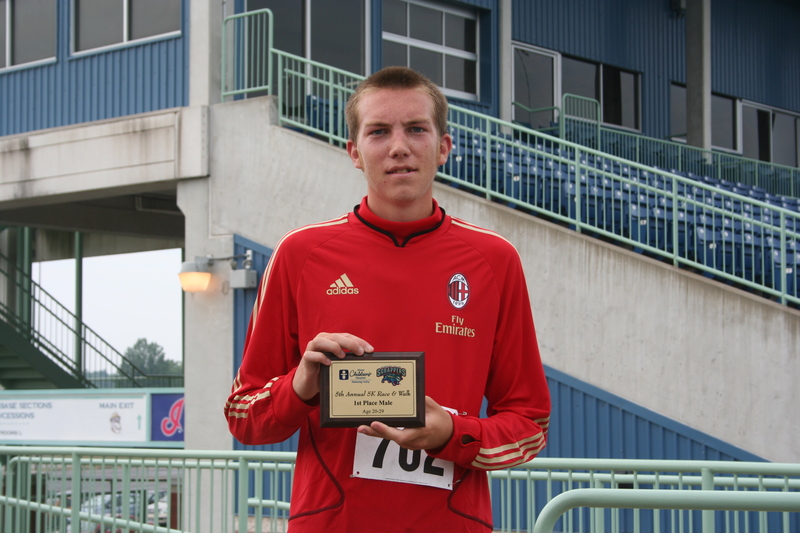 Nearly 200 avid runners came out to Eastwood Field early Saturday morning. 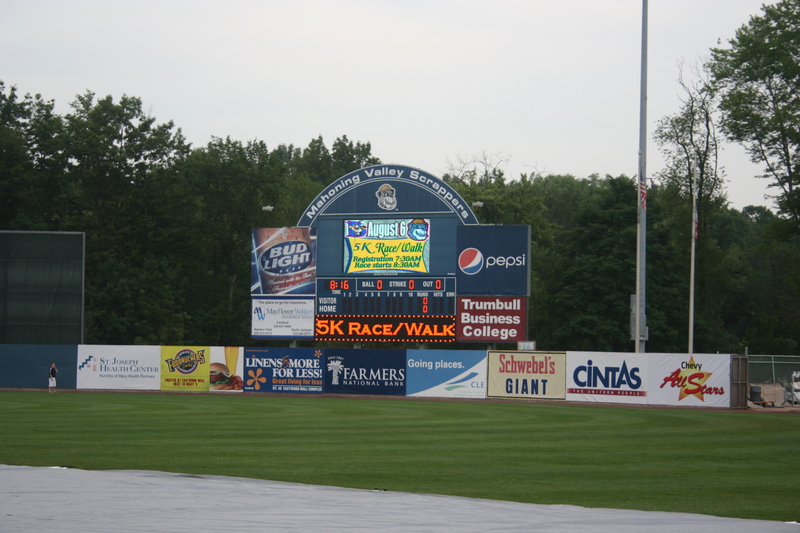 Not for a baseball game, but for the opportunity to take part in the Scrappers annual 5K race/walk. 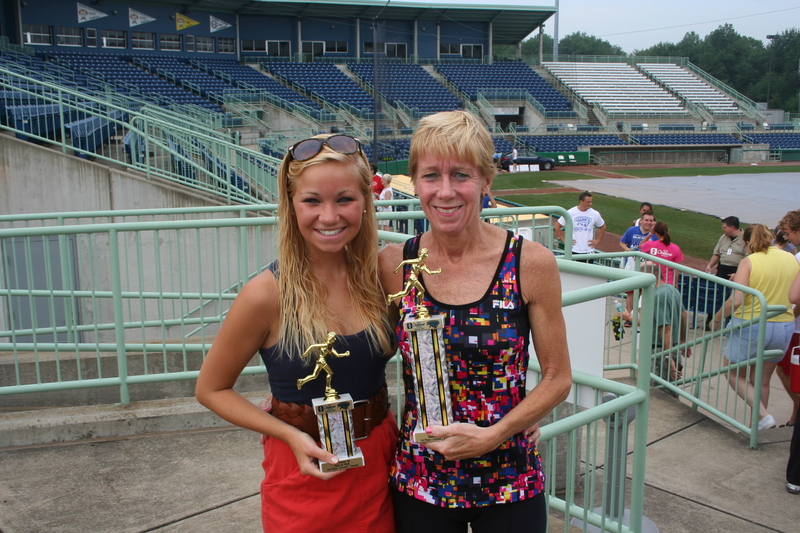 This year, proceeds from the event were donated to Akron Childrens Hospital-Mahoning Valley. CASHLAND, REFRESH DENTAL MANAGEMENT, LASER HAIR REMOVAL, ATC HEALTHCARE SERVICES, MAXIM PEDIATRIC SERVICES, SAVANYU REFLEXOLOGY, THE BODY SHOP AEROBICS AND FITNESS, BRAYDICH CENTER FOR ADVANCED DENTISTRY, CORTLAND LANES and WALGREENS all sponsored the race and helped to make it truly successful. On a perfect day for a run, participants ran throughout the Eastwood Mall complex and crossed the finish line at homeplate, right on the field. Festivities got underway at 8:15 with the kid’s fun run. 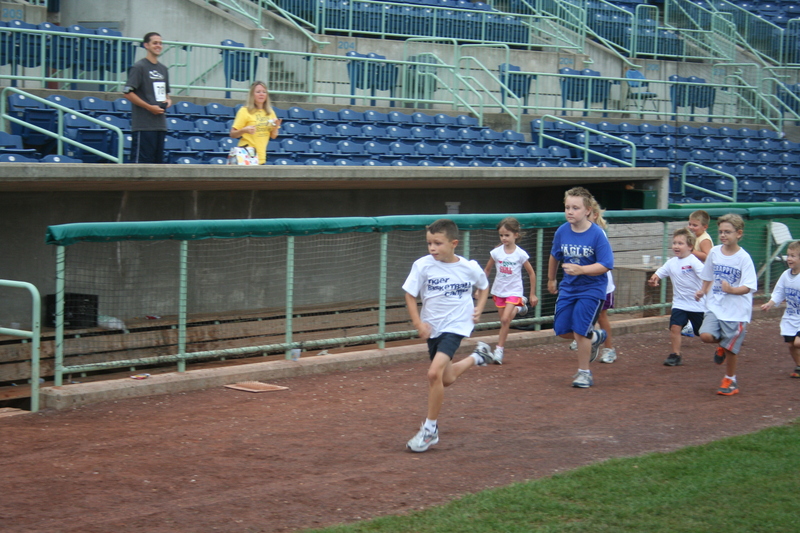 A swift jog around the warning track of Eastwood Field got the youngest trekkers’ blood pumping. The horn sounded at 8:30 for the 5K and it was a rush all the way through. Members of the Scrappers front office staff were on hand to motivate the runners and hand out cups of water to the dashing athletes. 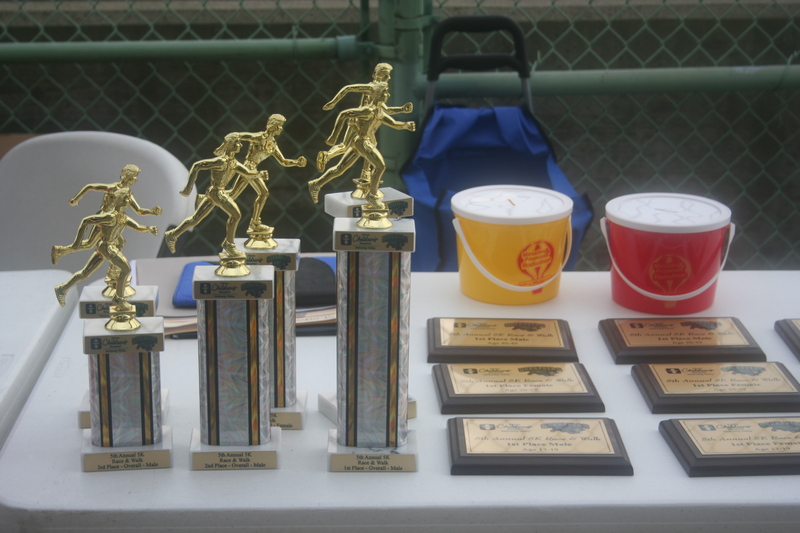 While everyone could be considered a champion for their efforts, the top three runners for both males and females received trophies and the winners of certain age groups earned plaques. Listed below are the winners for the race.